As someone who recently married, I know the challenges a bride has in preparing for the big day. The key with regards to looking and feeling your best is to set realistic goals, based on the time period you have. The build-up to your wedding should be as exciting and enjoyable as the day itself, without putting any additional stress on yourself with regards to weight loss. Remember, if you are starting exercise for the first time, whilst it’s good to use the wedding as an incentive; try to also see this new regime as something you will continue in the future, for long term health. With this in mind, aim to pick exercise you will enjoy, such as a dance class or going for a jog with friends. If your specific goal is weight loss, try to avoid crash dieting as in many cases, you could end up putting all the weight back on once you resume a normal eating habit. Try to reduce portion sizes, eat a healthy balanced diet & cut out those naughty snacks! Increase water intake to ensure your skin is glowing on the day. Aim to exercise at least three times a week (both cardiovascular and resistance), but also add “activity” into your routine on a daily basis, e.g. take the stairs rather than the lift, as these lifestyle changes will make a difference to calorie burn. A client of mine did exactly that. We set her three small, achievable targets for her wedding, with her main goal being to tone up. 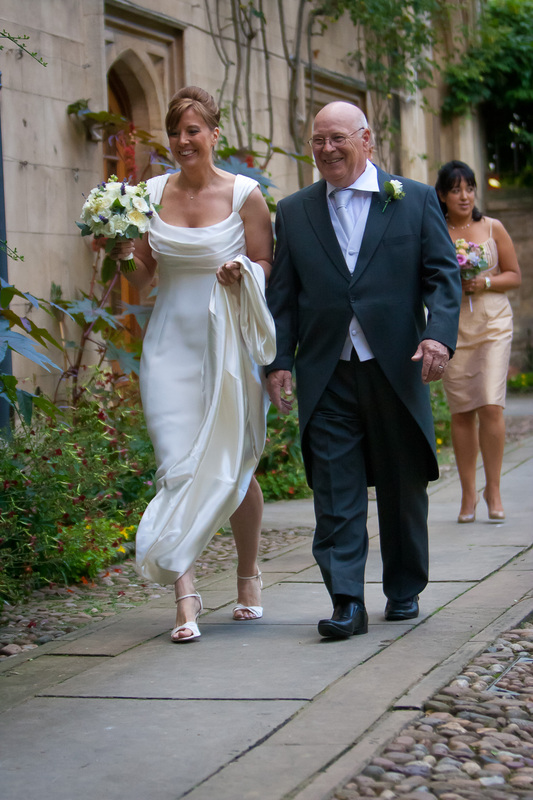 She told me she felt really confident in herself on the big day – fitter, healthier and firmer (see photo below.) Plus, I received a text from her on her honeymoon, saying she now looked great in her red bikini that she hadn’t worn for some time. Visit www.inspiredbycarly.co.uk for more information on getting in shape for your wedding and look out for the May issue where Carly tackles Ed-girl Sarah’s general lack of fitness! This entry was posted on April 15, 2012 by inspiredessex in Beauty & Wellbeing, Chatty, Ladies Time Out, Weddings and tagged braintree fitness, Chelmsford fitness, essex fitness, Essex Magazine, inspired by carly.